In its ongoing quest to equip the global water industry with the world’s most powerful and comprehensive GIS-centric infrastructure modeling and management solutions, Innovyze, a leading global innovator of business analytics software and technologies for smart wet infrastructure, today announced the worldwide availability of the V12 Generation of InfoWater for ArcGIS (Esri, Redlands, CA). The release forcefully exemplifies Innovyze’s strong commitment to meeting the requirements of its user base and the increasing demands of the global water industry. Globally, water demand is rising, aging water infrastructures are rapidly deteriorating, and the impact of water main breaks and leakage is relentless. In the U.S. alone, drinking water systems maintain more than two million miles of distribution mains with about 237,600 water main breaks occurring every year. An estimated seven billion gallons of clean drinking water are wasted every day — a staggering 2.6 trillion gallons annually. With this new version, Innovyze has further refined the superb water supply and distribution modeling and analysis features that have helped make InfoWater a leading choice among the world’s top water utilities and engineering firms. The award-winning software has long been renowned for its extreme performance and comprehensive toolsets and extensions. Now by enabling users to explicitly model water main breaks (and leaks), they can develop effective leakage reduction and control and demand and maintenance management strategies to maximize the quantity of revenue-producing water, ensure hydraulic and water integrity, improve the quality of service, and conserve this precious resource. 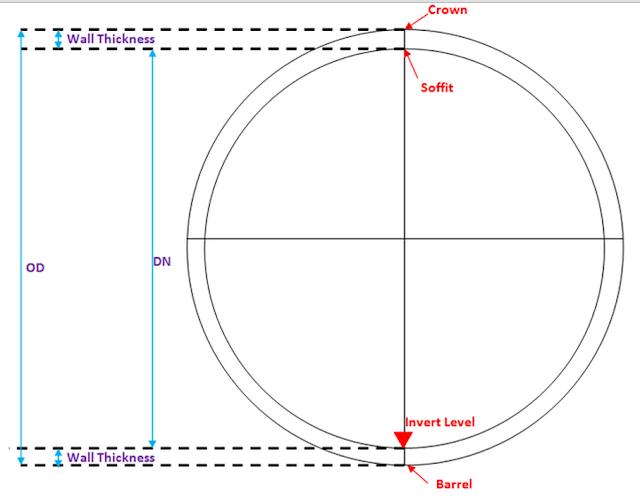 Breaks can be specified for any pipe in the network along with their location, size, and time of occurrence. Small breaks can also be automatically distributed at the two end nodes of a pipe. InfoWater will then compute and report the total water volume lost to breaks and leaks for any user-specified period. It will also report their impact on the hydraulic (e.g., flows, pressures, velocities, and fire-fighting capacity) and water quality (e.g., chlorine concentrations) integrity of the water distribution system. Built atop ArcGIS, InfoWater seamlessly integrates sophisticated predictive analytics, systems dynamics and optimization functionality directly within the powerful ArcGIS setting. From fire flow and dynamic water quality simulations, valve criticality and energy cost analysis to pressure zone management and advanced Genetic Algorithm and Particle Swarm optimization, the suite comes equipped with everything water utility owner-operators need to best plan, design, operate, secure and sustain their distribution systems. The software also serves as a base platform for advanced smart network modeling, operation, capital planning and asset management extensions. Among these critical applications are IWLive (real-time operations and security); InfoWater UDF (unidirectional flushing);CapPlan (risk-based capital planning); InfoMaster and InfoMaster Mobile (asset integrity management and condition assessment);InfoWater MSX (multi-species, temperature, and particle transport/deposition modeling); InfoWater BTX (event/particle backtracking);InfoSurge (surge/transient analysis); Sustainability (carbon footprint calculation); BalanceNet (real-time energy management and operations optimization); PressureWatch (real-time network hydraulic integrity monitoring); QualWatch (real-time network water quality integrity monitoring); SCADAWatch (real-time business intelligence and performance monitoring); DemandWatch (water demand forecasting); and DemandAnalyst (real-time water demand and diurnal pattern estimations). These advancements propel the InfoWater family of solutions into the next generation, furthering Innovyze’s time-honored practice of continually adding critical value to its software and bringing unsurpassed modeling and design capabilities into the mainstream. The suite has the robustness and feature set needed to handle the most demanding analyses. Yet it’s intuitive enough for new users to master without a drawn-out learning curve, making it the ultimate GIS-centric decision support tool for water supply and distribution systems. Like all Innovyze products, InfoWater V12 is backed by unparalleled high-touch technical support. For an even faster return on investment, organizations may opt to call on Innovyze Implementation Services to accelerate deployment, integration and implementation of best modeling practices.